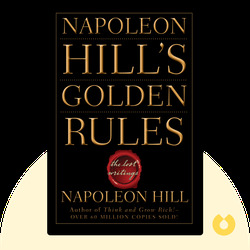 Napoleon Hill’s Golden Rules (2009) offers a wide array of tips and life hacks to improve your life and bring you closer to realizing your goals. Author Napoleon Hill developed his techniques – many of which stem from the power of positive thinking – nearly a century ago, but they’re still the cornerstone of many of today’s self-help and personal development theories. Napoleon Hill (1883-1970) was a pioneer of motivational and self-improvement writing. He wrote some of the earliest self-help books in the US, including the landmark Think and Grow Rich (1937), which remains as one of the top-20 best-selling self-help books of all time. His books continue to be read by millions of people around the world. 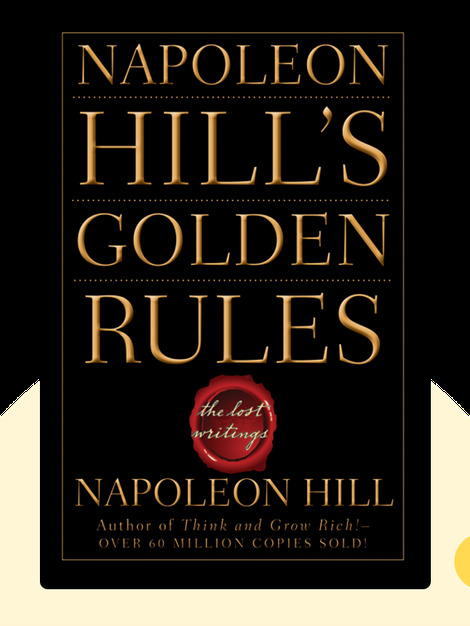 © Napoleon Hill: Napoleon Hill’s Golden Rules copyright 2008, John Wiley & Sons Inc. Used by permission of John Wiley & Sons Inc. and shall not be made available to any unauthorized third parties.